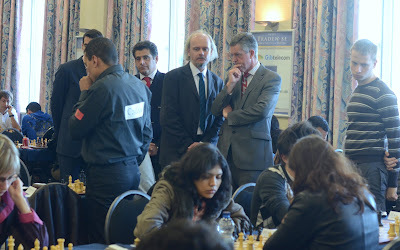 The Gibraltar Chess Festival 2012 will be live daily on Chessdom.com with analysis by the Houdini 2.0 engine. Games start at 14:00 CET. 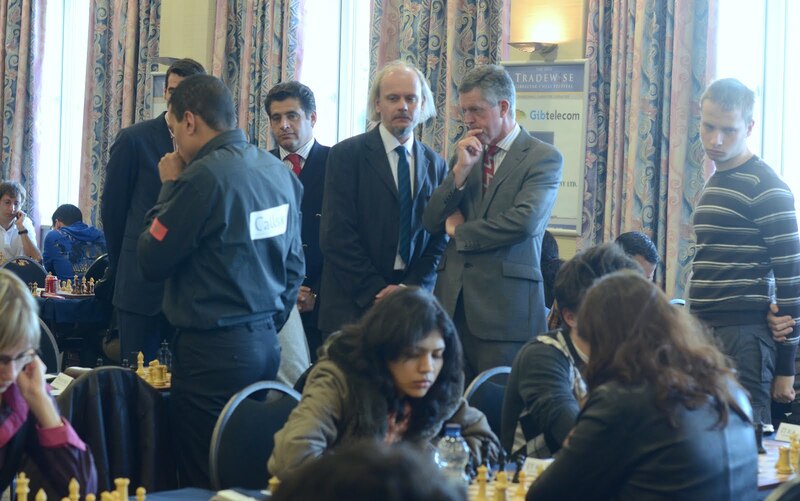 The Governor of Gibraltar Sir Adrian Johns visited the 2012 Tradewise Gibraltar Chess Festival today. Sir Adrian was met by organiser Brian Callaghan and director Stuart Conquest. Also there to meet him was John Isola from Anglo Hispano one of the main sponsors of the Festival, and Joe Hernandez from the Gibraltar Sport Authority which has always supported the event. Sir Adrian was shown around both chess halls at the Caleta Hotel. He paused to view the main boards and especially the historic game between Hou Yifan and Judit Polgar. He was also interviewed in the studio live on the official website by Stuart Conquest. Yifan Hou – Le Quang Liem LIVE! January 29, 2012 – Tata Steel 2012: Aronian Wins! January 26, 2012 – Goddesschess.com: Pushing Female Chess to New Heights! January 24, 2012 – Chess Training: Refine Your Approach! IM Malcolm Pein reports that Magnus Carlsen is back in the hunt for first place as the Tata Steel tournament came alive in the 11th round. You are currently browsing the Chess blog archives for January, 2012.